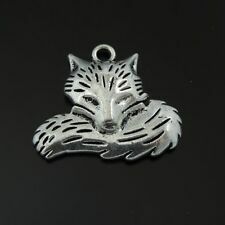 39509 Antique Silver Alloy Cute Fox Charms Pendant Size 38 25 5mm 10PCS. Material: Zinc Alloy. Size: 38 25 5mm. We will do our best to make you satisfied. Color: As Picture Show n.
Color:As shown. Otherwise deal is final. Item SKU:51595. We will be happy to resolve any issues you may have in a cordial and friendly manner. All products are quality checked. >>>Italy and Brazil (because of strict custom inspection). 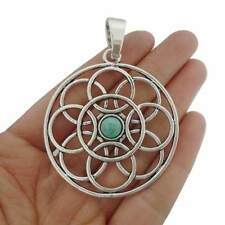 Material: Imitation Turquoise Stone, Zinc Alloy ( lead and nickel free ). Colour: Tibetan Silver. Item Code: 39227. Purpose: Jewelry making, hand craft making, any purpose. hope you can understand. Color: Silver. DO NOT DUPLICATE OR COPY! Size: 25 9 1 mm. Material：Tibet Silver. We'd like to settle any problem in a friendly manner. or neutral. Our office hours are I’m sure everything could be solved by communication. Product Show. 36x25x8mm (approx.). as picture shown. Color：As the picture shows. Quantity： 1 0 pc. Size: 28mm 22mm. Made of high quality material (use for Bracelet, Necklace, Phone strap, keychain, Earrings, etc.). Weight:about 25g(13pcs). Conch size:0.9 1.9cm. Starfish size:1.3 1.7cm. Sea shell size:1.2 1.8cm. Color: As Show-Antiqued Copper Color. We will do our best to make you satisfied. Place of Origin: China. Item Code:37382. • Color: Antique silver. Any problems can be solved in a satisfing way, any loss will not be caused. Phone number is very important! Colour: Tibetan Silver. Material: Zinc Alloy ( lead and nickel free ). Hole Size: Approx 2mm. Quantity: 10 Pieces. We will choose the best way. Material:Zinc Alloy. Otherwise deal is final. We will be happy to resolve any issues you may have in a cordial and friendly manner. All products are quality checked. >>>Italy and Brazil (because of strict custom inspection). (10pcs Antique Silver Tone Alloy Round Cross Pendant Charms Craft Findings. Item included: 10 x Cross Pendants. 3) Cross design, antique style, cool, show your good taste. Suitable for: Daily wearing as fashion accessories, making necklace or crafts. Item Code: 50301. Size:65 28 2 mm inner 30 20 mm（approx）. We will do our best to make you satisfied. Quantity: 12 pcs. Better Service, High Quality, Highly Cost Effective, Factory Price . Note : Hole Size:2.2mm( 1/8");Thickness:2.2mm( 1/8");. A: Yes, you can. (like B12345)marked on the parcel you received ,we will sort it out. Pattern: Princess, Skirts. Nickel and Lead free. Item Type:Jewelry Findings. Due to the difference between different monitors, the picture may not reflect the actual color of the item. Quantity: 8 Pcs. SCARAB BEETLE EGYPTIAN. Approx Size: 27mm Long x 26mm Wide. 5 Tibetan Silver. Charms Pendants Beads. You will receive : 20pcs. Color : As Shown- Antiqued Gold plated. we will love to work with you in resolving any issues. Inner Size: 20 20 mm. Size : 30 30 2 mm. Material: Zinc Alloy( lead and nickel free ). Color: Antique Silver. We will choose the best way. GLASS MANDALA BUDDHISM MULTICOLOURED. Approx Size: 21mm Long x 18mm Wide. Charms Pendants Beads. 5 Gold Tone. Color: Tibetan Silver. Material: Zinc Alloy ( Lead and Nickel Free ). 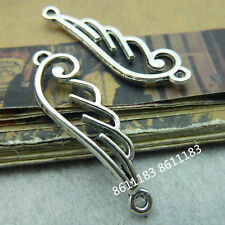 Material：Tibet Silver. Quantity： 2 0 pc. Color：As the picture shows. Color: Antique Silver. We will choose the best way. Quantity: 10 pieces. THIMBLE WITH HEART SEWING NEEDLEWORK. Charms Pendants Beads. 10 Silver Tone 3D. 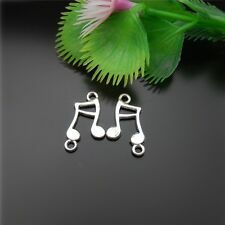 Condition: Brand new and good quality Color: As the picture Material: Zinc Alloy Size:22*8MM Quantity:20PCS. Code: 38419. You will receive : 60pcs by Randomly. Purpose : Jewelry Making,Hand Craft Making,any purpose. Color : As Shown. we will love to work with you in resolving any issues. DO NOT DUPLICATE OR COPY!